Elvis Presley (Bruce Campbell) is alive and well in an East Texas nursing home. His African American friend, John F. Kennedy (Ossie Davis), is a fellow resident. Both men believe that an Egyptian mummy is haunting their community, sucking the souls out of those too feeble to escape. What a tired, cliche plot. I mean, who hasn’t heard of that one? Campbell has made a career out of mixing horror and comedy with films like “Army of Darkness” and “Evil Dead.” Here, he does it again, while pulling off a pretty good Elvis impersonation. Davis is fun to watch on screen, especially when he’s trying to convince Elvis that he really is JFK. The two work well together and make the film an enjoyable experience. As for the horror element, the evil Egyptian mummy is both menacing and a little campy. He has the face of a ghoul and wears the cowboy attire you’d find at the local rodeo. Just the kind of villain you’d like to see in a Bruce Campbell flick. If you can’t handle some of the harder scary movies these days, watch a couple of geezers hunt down a mummy in this funny little monster film. Little kids and their imaginary friends. Growing up, I never had one. Now I’m especially glad I didn’t. “Paranormal Activity 3” takes us back to the beginning of the series to see how this cursed family first got involved with the paranormal. The women from the first two films are now young girls and we see similar events to 1 and 2 that they conveniently forgot about 20 years later. It’s hard to imagine a franchise like this one having the longevity to sustain multiple sequels, but this third installment was better than I expected going in. Of course, the paranormal antics have become a little tiring at this point. The audience requires more than a couple of phantom sounds and moving lamps. Fortunately, the filmmakers decided to upgrade the scares a good bit. WIthout spoiling too much, the “ghost sheet” and “kitchen furniture” scenes were great additions. The thing is, there are only so many times we can watch the partiarch of a family investigate strange noises in the house by setting up cameras (How can they afford so many cameras all the time?). If this third film was the final chapter, I could leave the coincidences at that, but a fourth film has finallly pushed me past the believable stage. The last 15 minutes of the film were probably the most interesting to me of the entire series. Finally some answers. But just when I thought it was going to make more sense, the writers shook my head like an Etch-a-Sketch and the “explanation” feels hollow and unexplored. If this had been handled better, I would have enjoyed this installment a lot more. Still, “Paranormal Activity 3” is a decent horror flick by today’s standards and fits well with its counterparts. Just please kill this franchise before it gets too embarrassing. …..Too late. “Paranormal Activity 4” already came out. I wanted to review “Silent House” for three reasons. 1) I loved the idea of it when I first heard it, as far as the shooting style goes. 2) I’d never seen it before. 3) Everyone seemed to really dislike it after it got released. So here it goes. The film’s plot is not all that unique for the genre. A girl (Elizabeth Olsen) is packing up an old house with her father. She hears creepy noises, her dad goes missing and then she has to resolve the whole thing while running around the house in the dark. Nothing too out-there for a horror film. There are bright spots, though. Olsen, who displayed some great acting chops in “Martha Marcy May Marlene,” is fantastic in the main role. Especially considering it’s a horror film, not really a genre known for grabbing Oscars. She really digs into the scenario of being alone in a dark house with all these scary things happening and she runs with it. Since she is the only person onscreen for 90% of the film, it rides on her performance. What really got me excited about this film during its production was the idea of one continuous shot for 90 minutes. It reminded me of guys like Hitchcock who made similar stylistic choices (“Rope” is a good one to watch, although I think it has 2-3 shots). Just imagine how drastically different the process has to be when it’s all one big take, rather than adjusting the set every 2 hours. I think it probably helped Olsen with her performance too. Since the audience only has one viewpoint throughout the film, scary moments felt scarier. It was easier for the filmmakers to hide something from the audience and then have it appear at the last moment. One thing that always makes me appreciate a horror film is if I can identify with what’s happening onscreen. Having walked through a dark house late at night before, this movie had me on the edge of my seat. There’s usually one moment in horror films where the audience becomes completely divided: the twist. In this film, I think it will play a big factor in whether or not you consider it to be worth your time. The conclusion to “Silent House” isn’t new or too creative, but it felt like it was handled well for what it was. Up until this point in the film, things were definitely looking better. “Silent House” is better than your average horror movie these days, but a weak plot and lazy writing keep it from being too memorable. Freddie Quell (Phoenix) is a disturbed man who has returned home from WWII with a rough case of PTSD. He is constantly drunk, often violent and never appropriate at the dinner table. One day he stows away on a boat and comes to meet a man named Lancaster Dodd (Philip Seymour Hoffman), the charismatic leader of The Cause. The two develop a friendship of sorts. Freddie cooks up the booze and Lancaster gives Freddie something to believe in. 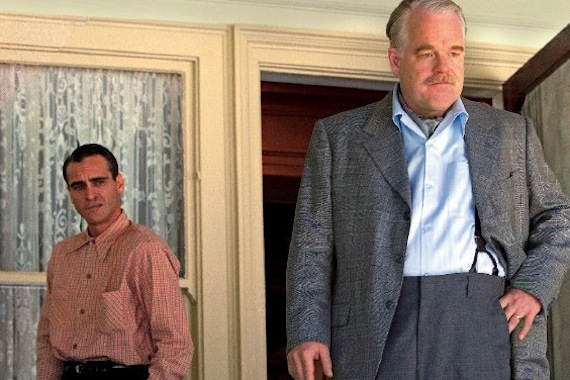 Although Anderson denies “The Master” is about Scientology, there are quite a few similarities between it and this film’s The Cause. Lancaster and his wife (Amy Adams) lead a small group of believers through personal sessions of memory recovery in order to unlock secrets of their past lives. Hoffman plays a very convincing cult leader, ranging from smooth talking to fiery indignation. Phoenix gets to have more fun with his role, but Lancaster Dodd gets to shine in a few great scenes. The role of Freddie Quell is portrayed more through physical traits than dialogue, but Phoenix does as much as he can with the character. It’s a very impressive physical performance. Both men really get to display their skills and it’s great to watch them work together onscreen. One scene involves Dodd asking Quell a series of questions during a memory recovery session. The further into the scene we go, the more intense it becomes in the room and each actor gets to play with their character. Unfortunately, the film only has so many of these scenes strung together in between long periods of not much happening onscreen. Director Paul Thomas Anderson has a similar problem that another director named Anderson has. You either love his films or not. “There Will Be Blood,” his last film, was critiqued by many to be a little slow-moving and light on plot. “The Master” isn’t too different in that regard. It’s a good film, for sure. You just wish it would get to its point a little quicker. Anderson and his cinematographer also provide some great visuals for the film. It helps make those long periods of idleness on screen much more tolerable. I wouldn’t be surprised if there were some award recognition coming this winter. When it comes to these kinds of “award” films, people are quick to judge if a film is as good as the hype. Maybe that’s fair and maybe it’s not, but “The Master” should be able to stand on its own merit as a quality film. It has a long way to go before award season, but it has a chance to be one of the year’s best. Over the next two weeks I’m going to try to do some horror films for Halloween. Let me know if there are any favorites you think I should check out. That was one of the many thoughts going through my head while watching “Looper,” the new film by writer/director Rian Johnson (“Brick”). The film’s present narrative follows the daily routine of Joe (Joseph Gordon-Levitt), a hitman for the mob. He isn’t your normal hitman with leather gloves and garrote, though. In the year 2072, the mob sends their targets back several decades to a looper, like Joe, who waits with a gun at a specified time and place each day for his mark. These killers spend the rest of their waking time partying it up and stringing themselves along with the help of narcotics. These men will one day have to close their loop by killing off the older version of themselves, as they have become a liability to their employers in the future. On the day that Joe is to close his loop (his older self being played by Bruce Willis), he hesitates for just a moment and the target gets away. Obviously this doesn’t go over so well with his boss and chaos ensues. There are several things I love about this film, but near the top of that list would be the way Gordon-Levitt reflects Bruce Willis throughout the film. Aside from the work that has clearly been done to his face, Gordon-Levitt changes his voice, mannerisms, etc. to lend the film a little more believability and finesse. The two Joes, as well as Emily Blunt, who plays a single mother/farmer in the second half of the film, each deliver performances far more endearing than one would normally find in a film about time travel. But this isn’t a film where acting has to make up for a weak script. Not only does Johnson give each character the depth we need to invest in their different arcs, but there is a back and forth between which Joe the audience is supposed to cheer for (hint: this isn’t one of those films where the two versions pair up to take down a common enemy). Great care is also given in setting up this futuristic world for the audience. Although narration can sometimes be a lazy way to introduce a film’s world, here it is much needed and handled tastefully. Johnson shows restraint in not making the world look too advanced, while still showing enough creativity to wow the viewer from time to time. 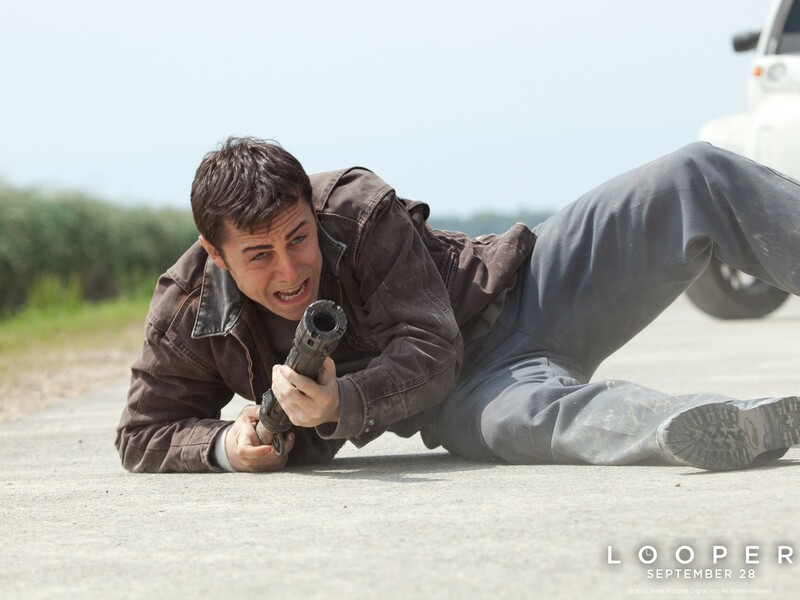 “Looper” sort of feels like two separate films, though. The first half is a sci-fi thriller with loads of gunshots, flashy effects and excitement. Once the median is crossed, everything slows down and it becomes more of a character study set on a rural farm. There are still sci-fi elements incorporated and the quality remains top notch, but it feels a little disjointed. There will also be some people turned off by the ending, but that’s more on the viewer than the filmmaker. I can honestly say I didn’t see the ending coming until it was already unfolding and it was much different than I was thinking it would be going into the film. 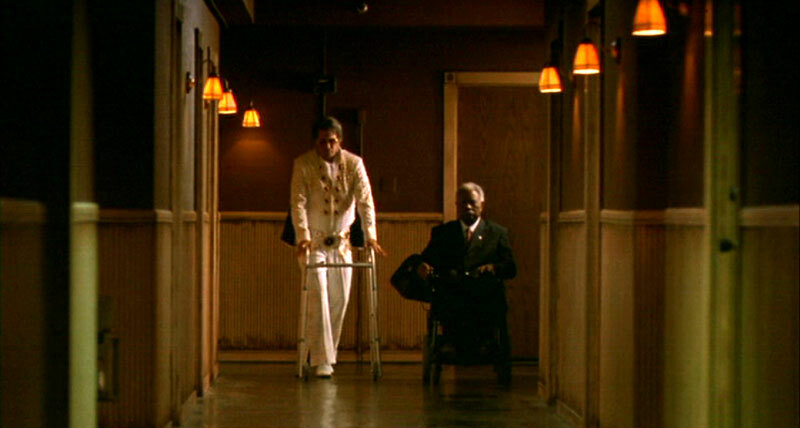 Usually when a film uses time travel and alternate realities as part of its story, there are loose threads everywhere (see: “Men in Black 3”), but “Looper” does its best to address certain issues that arise in these conversations. However, as Bruce Willis says at one point during the film, thinking about all the different rabbit holes the film could travel down will just fry your brain.The result is a competent film that entertains the audience while not trying to spoonfeed them too much. “Looper” is a great September release that provides a breath of fresh air between four supernatural horror films, several animated movies and lackluster action sequels. Gods grace through the life of an every day girl.